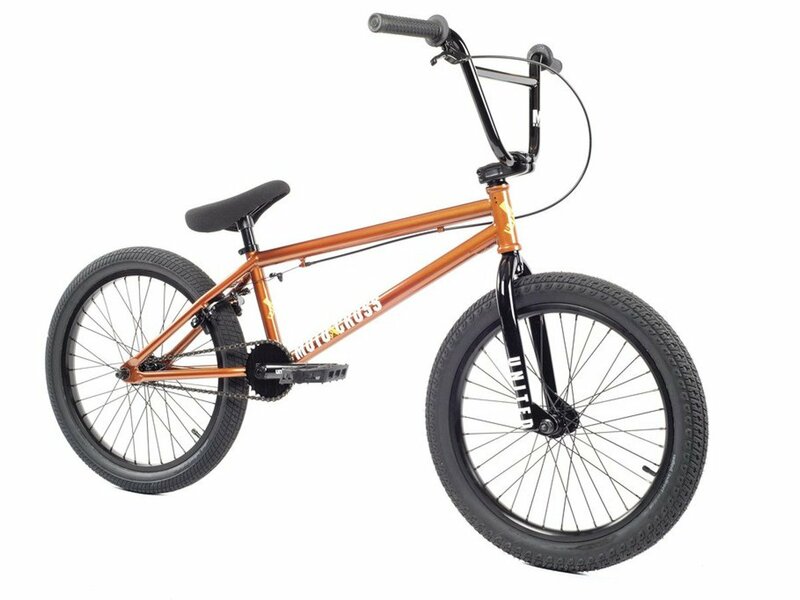 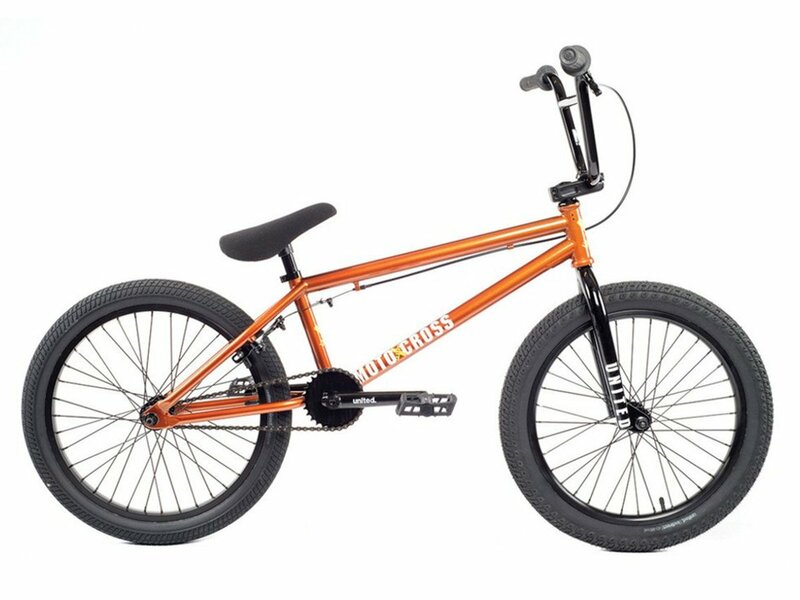 The United Bikes "Motocross" 2018 BMX Bike - Metallic Copper is a advanced entry-level complete BMX bike with full sealed bearings. 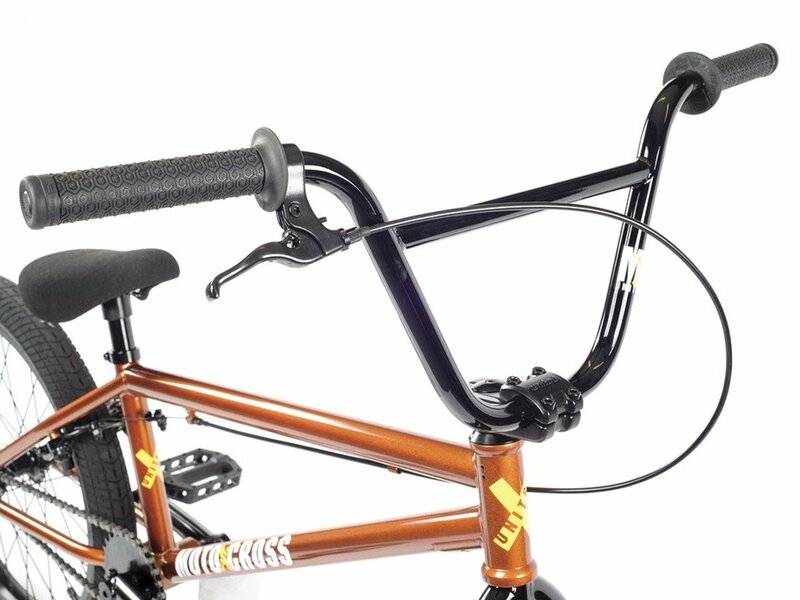 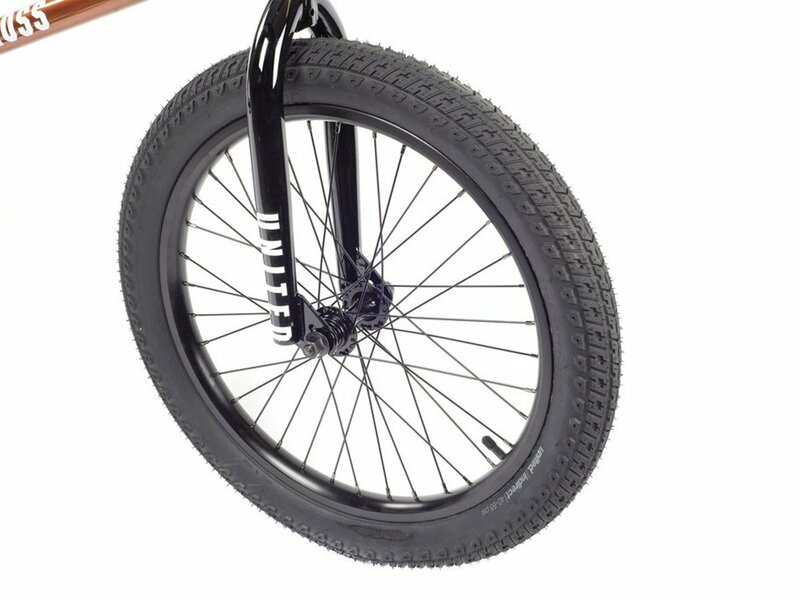 The frame has an 21" toptube, which is a good chioce for the taller BMX-beginners. 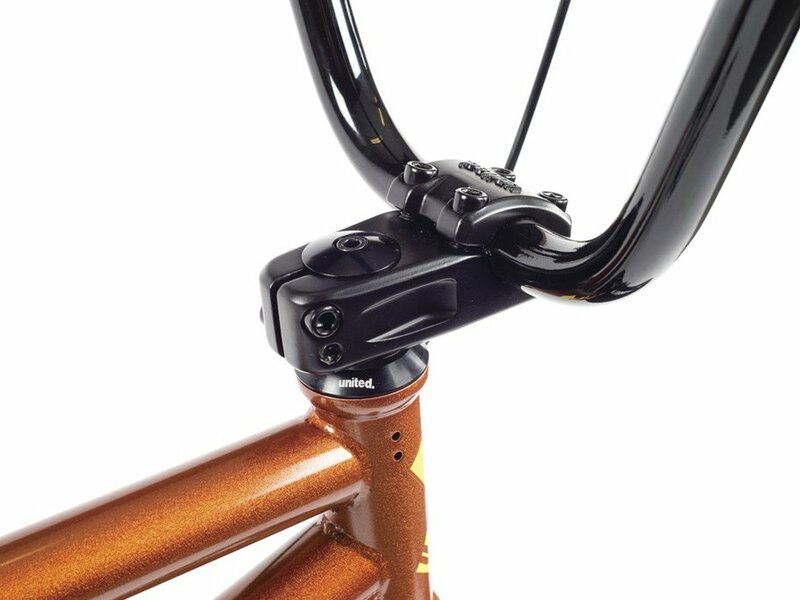 As well the frame includes an internal headset, Mid BB and comes with weldet U-brake sockets. 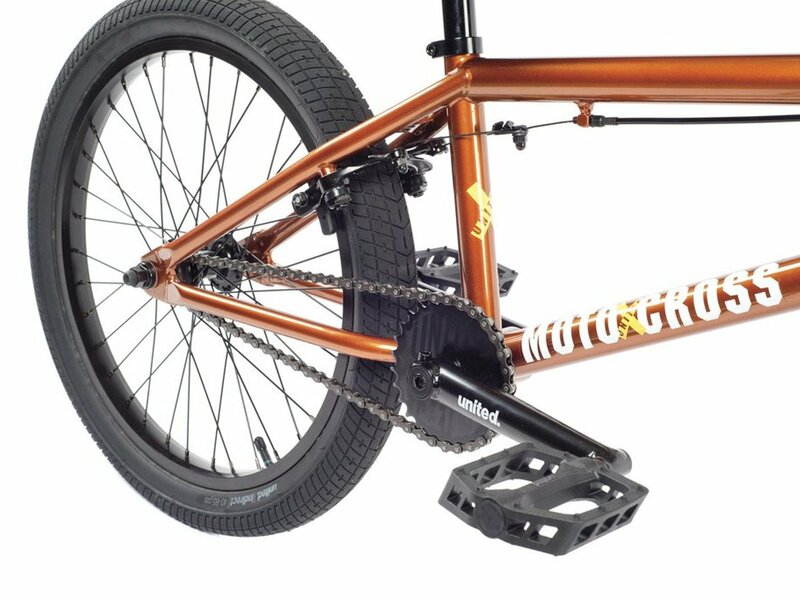 The 3-piece crank is made of CrMo, and the United Bikes "In-Direct" tires are pretty good for riding every terrain. 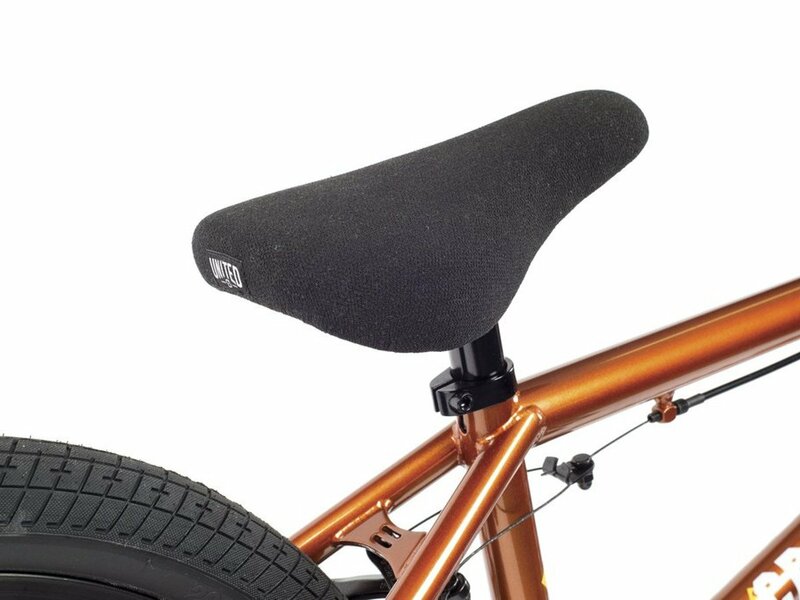 The parts of the United Bikes "Motocross" 2018 BMX Bike - Metallic Copper are solid and so this nice bike will stand by your side.